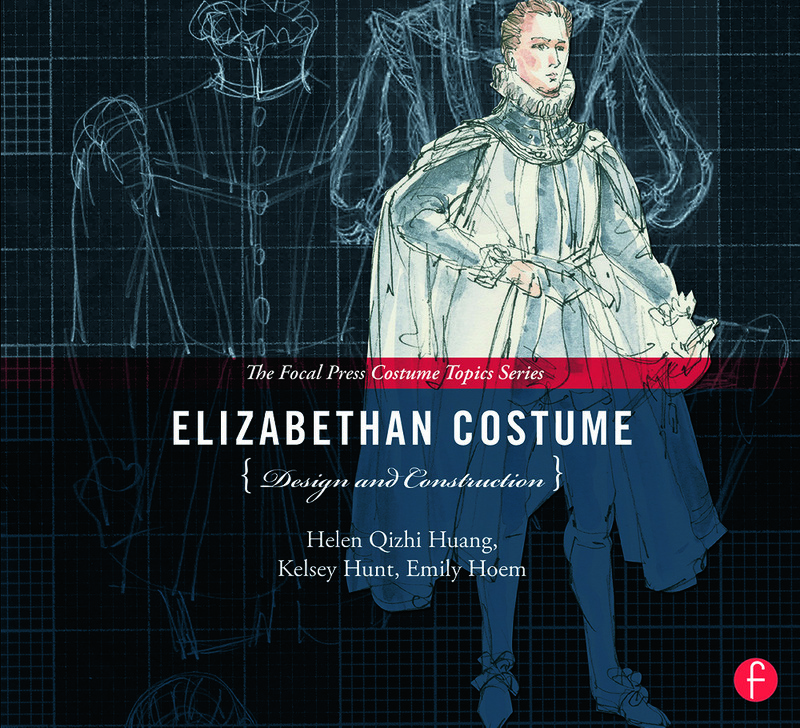 Learn how to create historically accurate costumes for Elizabethan period productions with Elizabethan Costume Design and Construction! Extensive coverage of a variety of costumes for both men and women of all social classes will allow you to be prepared for any costuming need, and step-by-step instructions will ensure you have the know-how to design and construct your garments. Get inspired by stunning, hand-drawn renderings of costumes used in real life productions like Mary Stuart as you’re led through the design process. Detailed instructions will allow you to bring your designs to life and create a meticulously constructed costume. Helen Q. Huang is an award-winning costume designer who has worked in theatres throughout the United States. The recipient of both the Helen Hayes Award for Outstanding Costume Design and the Ivey Awards, she is also a professor of the MFA Costume Design Program in the School of Theatre, Dance, and Performance Study at the University of Maryland, College Park. Emily Hoem is an Instructor of advanced sewing, tailoring, and patternmaking at the University of Maryland and the Tailor/Draper for the Clarice Smith Performing Arts Center. She also does freelance tailoring and draping for many theatres in the DC Metro area, including Wolf Trap Opera Company, Washington Ballet, Signature Theatre, Folger Theatre, and Woolly Mammoth Theatre Company. Kelsey Hunt is a freelance costume designer based in the DC Metro area. Her work may be seen at Studio Theatre, Woolly Mammoth Theatre, Theatre J, The Maryland Opera Studio, Chesapeake Shakespeare Company, and Triad Stage. Kelsey served for six seasons as Resident Costume Designer at Triad Stage and is a two-time recipient of the Marian A. Smith Award. Costumes are one of the most important aspects of any production. They are essential tools that create a new reality for both the actor and audience member, which is why you want them to look flawless! Luckily, we're here to help with The Focal Press Costume Topics Series; offering books that expalin how to design, construct, and accesorize costumes from a variety of genres and time periods. Step-by-step projects ensure you never get lost or lose inspiration for your design. Let us lend you a hand (or a needle or a comb) with your next costume endeavor!